If there’s one thing that makes a garden more exciting, it’s a centerpiece. A centerpiece, or focal point, is important to have in a garden because it captures the attention of the beholder and makes the surrounding landscape seem more interesting and teeming with life. A spilled flower pot is an easy centerpiece idea that you can create today. It adds character to a garden landscape with its waterfall look. 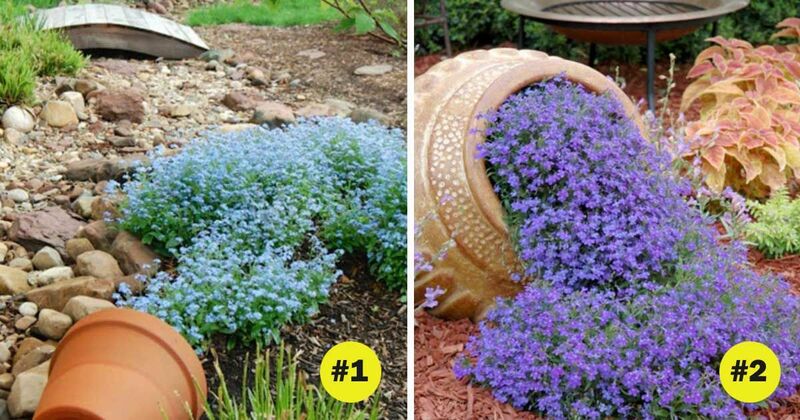 To make a spilled flower pot, you will need to first pick the perfect spot in your garden. Once, you’ve selected the perfect place for your spilled flower pot, you will need to gather your materials. You will need flowers, a pot and some soil or compost. To create your spilled flower pot centerpiece, dig a hole in your desired location. Next, put the flower pot in the hole and fill it in with potting soil and five to six plants, according to Today’s Homeowner. 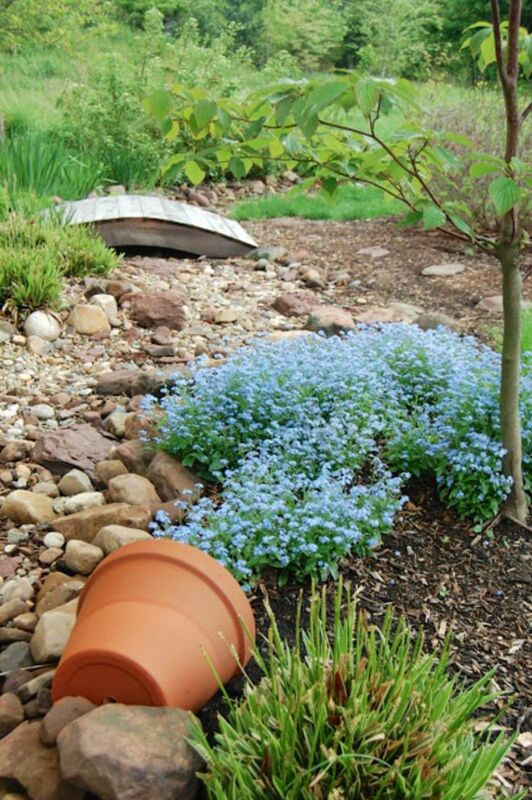 According to Balcony Garden Web, a round or circular-shaped pot is perfect for a spilled flower pot. 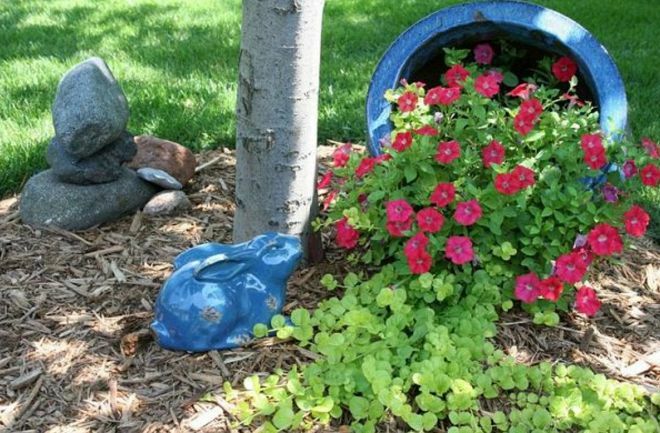 This project is a great way to make use of a broken flower pot. If you use a broken pot, make sure the broken part is fully covered by the soil. For the flowers, Balcony Garden Web recommends using warm colors like red, yellow, orange as they are attention grabbing colors. As far as specific plant types are concerned, Interiorholic suggests sticking to geraniums, lobelias, petunias, alyssum, daisies, and begonias as they are cascading flowers. You can go buy flowers specifically for this project or, as Interiorholic recommends, you can use up plants you have left over from other gardening projects. 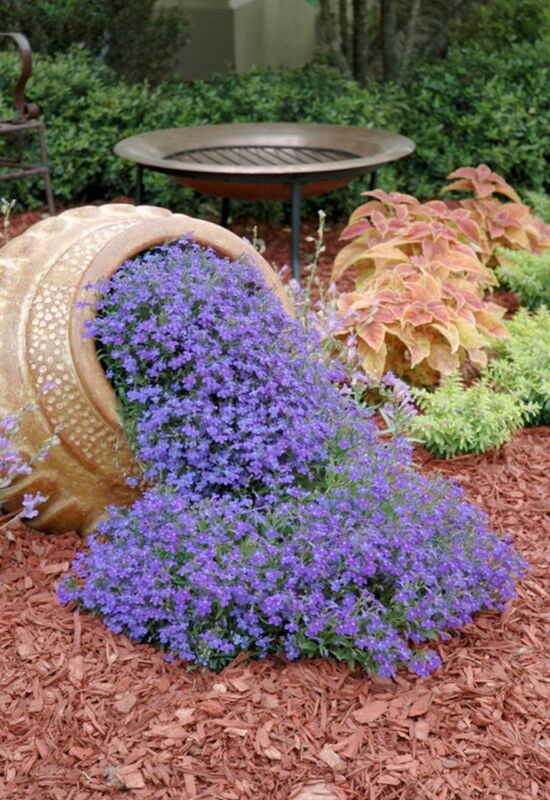 Though Balcony Garden Web recommends using warm colors for the spilled flower pot, cool colors such as blue and purple work equally well. Succulents are also a great choice according to Interiorholic. Today’s Homeowner suggests placing a couple of plants inside the rim of the pot, so that the plants appear to be spilling out. 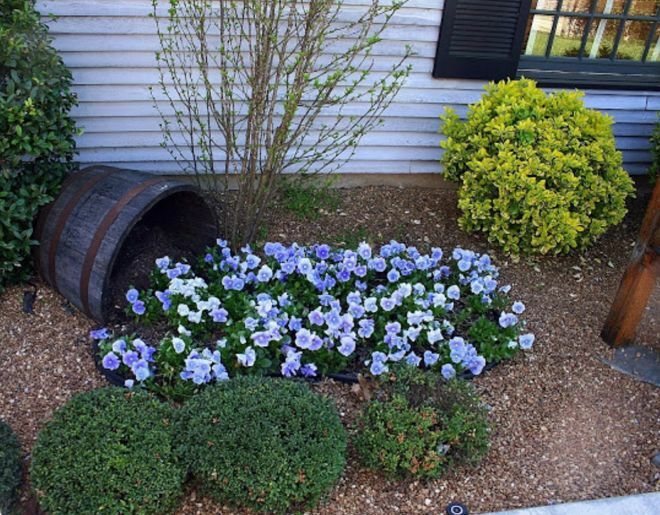 According to Today’s Homeowner, you should care for the plants in your spilled flower pot as you would with any other annuals by watering them and using a fertilizer occasionally. 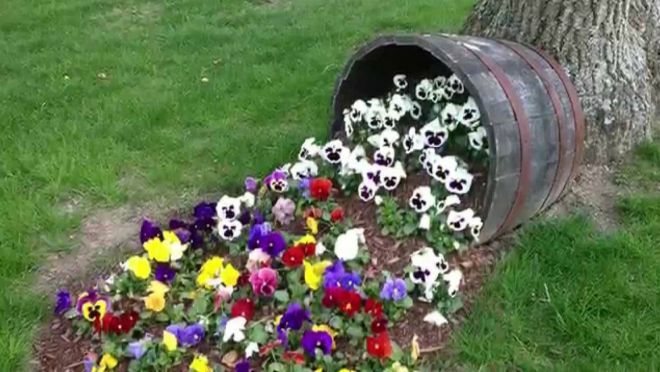 If you love the idea of a spilled puddle of flowers, be sure to SHARE this with your friends!